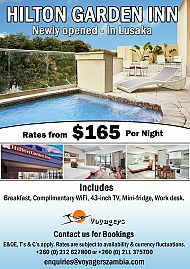 Don't miss out on these awesome fares, please see below for details and contact information. 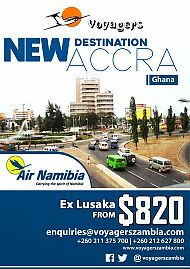 Air Namibia - New Destination - Accra Ghana. Newly Opened Hotel in Lusaka. 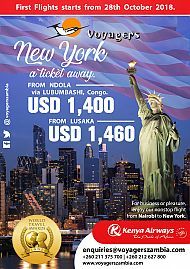 First Flights starts from 28th October 2018. 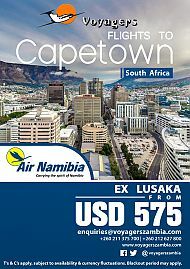 Air Namibia - Cape Town South Africa. 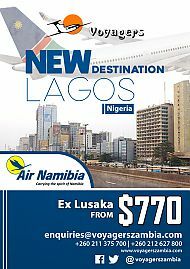 Air Namibia New Destination, Lagos Nigeria.